Randall Riggs is a local psychiatrist authorized to prescribe buprenorphine, a medication that proponents say could revolutionize opioid dependency. Ashley Beach's life is held together by two orange tablets she takes daily. Her story is common: She was prescribed opioid pain medication for a neurological condition that left her with migraines. The medication helped with pain, but she wound up addicted to prescription painkillers. "I started manipulating family, and I emptied bank accounts," says Beach, who ended up homeless and lost custody of her children. "I basically just completely went downhill because of my use." About a year ago, she enrolled in treatment that includes a prescription for Suboxone, a medication that keeps withdrawal and cravings at bay. Now she's off the streets and back with her kids. "When I take Suboxone, I feel like a completely normal, sober person," she says. The Spokane woman has been in other treatment programs, but this method, she says, recognizes the reality of addiction. "Your brain says you need this, and your body is just not physically strong enough," she says. The U.S. has a problem with opioids, including both prescribed painkillers and heroin. The Centers for Disease Control and Prevention says that the rate of overdose deaths involving opioids quadrupled between 1999 and 2014, leaving nearly half a million Americans dead. The problem is present in Washington state, where 612 people died in 2014 from either prescription opioids or heroin, up slightly from the year before. In response to the problem, more addiction treatment programs are turning to buprenorphine, a synthetic opioid often sold under the brand name Suboxone. It's similar to methadone, another synthetic opioid that's been in use since the 1960s. Both keep patients' withdrawal symptoms and cravings in check. But buprenorphine has advantages. Methadone has to be taken in a supervised setting, meaning patients have to make routine trips to clinics, which can be stigmatizing and an obstacle in rural areas. Buprenorphine can be prescribed and taken at home. It's also harder to abuse than methadone, which can be taken in large quantities to catch a buzz and potentially cause an overdose. Proponents say medications like buprenorphine provide the normalcy that recovering addicts need to hold down jobs and wrestle with underlying psychological issues driving their addiction. This approach has long been resisted in treatment programs that demand abstinence. "We think that because people behave their way into the condition, they should behave their way back out of it," says Caleb Banta-Green, a researcher at the University of Washington's Alcohol and Drug Abuse Institute, who argues that too many treatment programs ignore how opioid addiction changes an addict's biological chemistry. He's not alone. In 2012, the National Center on Addiction and Substance Abuse at Columbia University issued a report suggesting that most addiction treatments amount to "medical malpractice" and called for a "significant overhaul." That could be on the way. Interest is buprenorphine has risen, with sales of Suboxone topping a billion dollars. In October, the Obama administration announced a series of executive actions intended to overhaul addiction treatment in the U.S. and increase the number of physicians authorized to prescribe buprenorphine from 30,000 to 60,000 over the next three years. Washington has seen a rise in physicians authorized to prescribe the drug, and state officials are seeking to increase the use of the treatment. Locally, the Spokane Regional Health District is poised to become the first local health district in the state to offer it. Although proponents of buprenorphine say it has the potential to change opioid addiction treatment, barriers to its more widespread use still remain. Physicians are reluctant to embrace it, and there is an entrenched belief in some treatment programs that using medication will just swap one dependency for another. "People get judged daily for being on Suboxone," says Beach. Banta-Green says it's hard to nail down how many people are prescribed buprenorphine in Washington because of the way data is kept in the state, but the number is rising. Dennis Malmer, deputy director of the Washington State Division of Behavioral Health and Recovery, says the number of doctors authorized in Washington to prescribe buprenorphine has increased since the drug was approved for use by the U.S. Food and Drug Administration in 2002. Over the past year alone, he says that the number of authorized physicians rose by 100, to the current 950. According to the Substance Abuse and Mental Health Services Administration, there are 16 authorized doctors in Spokane County (there are 54 for the state of Idaho, which has also struggled with opioid addiction but keeps less data on the problem). Randall Riggs, a local psychiatrist, received his authorization in 2006 and has prescribed buprenorphine to more than a thousand patients since then. Currently the owner of InKARE, he prescribes Suboxone to more than 50 patients; he has a common goal for all of them. "People who see me need to want to get off the narcotic," says Riggs. His clinic, he says, isn't a "maintenance clinic," keeping patients indefinitely on Suboxone. Being treated with Suboxone, says Riggs, doesn't mean just an occasional trip to the doctor's office. Instead, patients get close management, coupled with counseling. He says that most of his patients are middle-class people with jobs and are easier to manage than people struggling with poverty. "The more chaotic [the patient's] life is, the more they need case management," Riggs says. That's why he's glad that the Spokane Regional Health District will offer the treatment. "It goes hand in hand with methadone, and we've wanted it for years," says Julie Albright, the district's administrator of treatment services. Last year, the district hired Dr. Matt Layton, a psychiatrist authorized to prescribe buprenorphine, as medical director for its opioid treatment program. Layton says the district has been focused on its methadone clinic, but plans to hire mental health providers to accompany buprenorphine treatment, which it aims to start offering by June. Albright says the district will increase its capacity from 720 patients to more than a thousand after it finalizes a contract with Medicaid. Some patients will have private insurance and others will have veterans benefits, she says. But there are barriers. 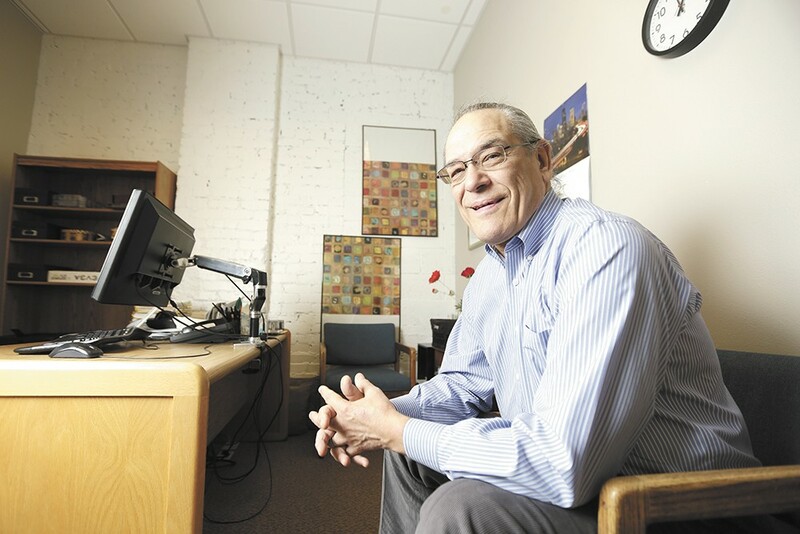 Layton can only prescribe buprenorphine to 100 patients at any given time; he hopes to partner with other authorized physicians to meet demand. Medicaid's reimbursement rate also doesn't fully cover the $550-a-month cost for the drug, a situation the state is trying to fix. Justine Fellows, a former heroin addict, says she tried Suboxone when it first came out but, for her, it just replaced one dependency with another. Now the assistant director of Good Samaritan Rehabilitation, a Coeur d'Alene-based inpatient treatment program, she helps its roughly 40 patients overcome their addictions through therapy, a 12-step class and developing a relationship with Jesus Christ. "We've found that people that come in on Suboxone are kind of numb, and their judgment is still not what it should be," Fellows says. "It causes them to not be able to deal with the real issues they have." Spokane's Union Gospel Mission similarly won't accept anyone currently being medicated into its recovery program, says Dave Wall, its spokesman. The UW's Banta-Green says that while these programs work for some, research shows they typically don't work for opioid addicts. He says studies have shown that patients in medication-assisted therapy are half as likely to die as those in more conventional therapies. Buprenorphine, he says, should be treated like any other needed medicine, especially when pressuring someone off of it could ultimately kill them. "We don't try to wean people off their insulin or their Prozac or Zoloft," he says. A report issued by the Pew Charitable Trusts, based on research from the American Journal of Public Health, found that nationally, only 49 percent of people with an opioid addiction could potentially receive buprenorphine treatment. Addicts in both Washington and Idaho, according to the report, had even less access. Getting more doctors to embrace buprenorphine will be a challenge. A 2014 study of Washington physicians' attitudes to buprenorphine found near-unanimous support for the treatment among doctors interviewed by researchers. The study also found that only 28 percent of physicians prescribed buprenorphine, citing a lack of mental health and institutional support. "[The authorization] is not really difficult to obtain," says Riggs, who notes that some physicians may be ill-equipped to take on this population. "But many doctors don't want to get it, because they don't want to treat drug addicts." There also are concerns about the black market for buprenorphine, one that Riggs says is driven by addicts who use it to stay stable in case their dealer is arrested. With a tablet of Suboxone going for as high as $40, he says the temptation is real. And the treatment, says Riggs, isn't quick or easy. Some patients may take it for three or four years while they're in counseling, then need another one to two years to taper off. Some patients relapse, he says, and others quit treatment. He estimates that less than 20 percent of his patients have kicked opioids for good.